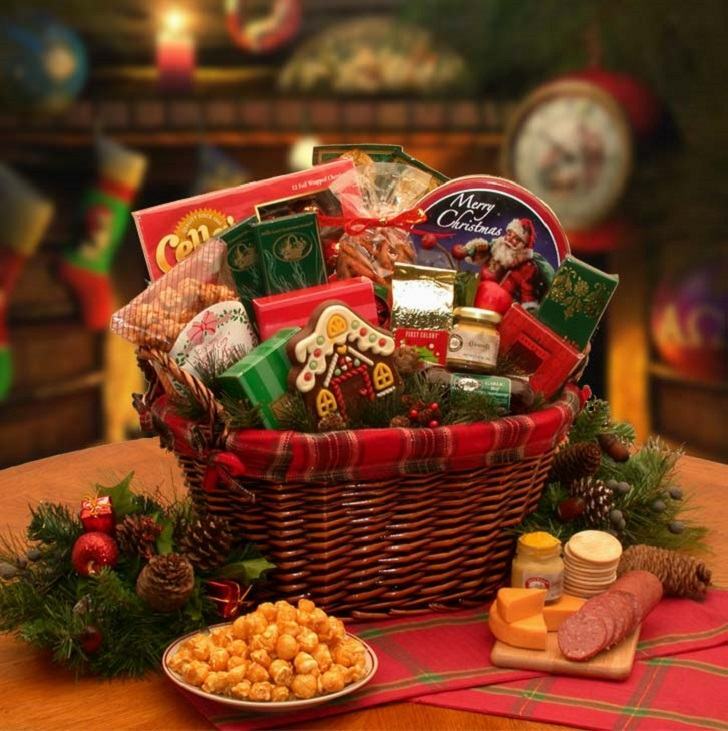 Christmas basket ideas vary depending on who you want to give this gift. Most of us know how difficult it is to choose the right Christmas gift for family members, colleagues, friends, relatives and business partners. 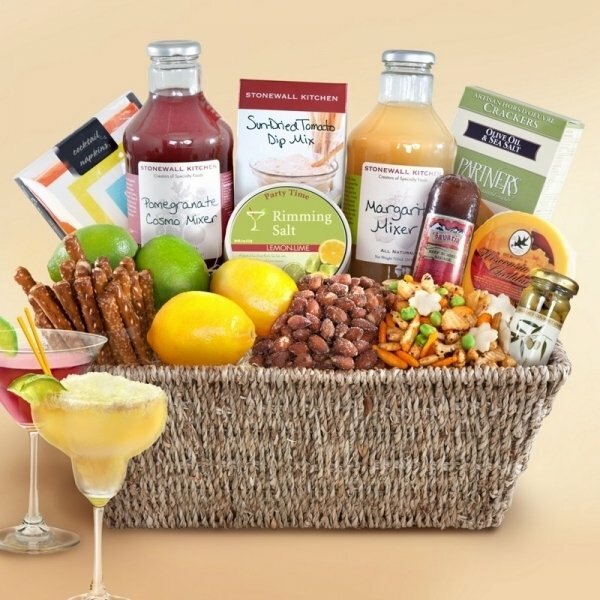 A gift basket is an excellent option as you can personalize the content for each person – from alcohol and chocolate to shampoos and spa products. 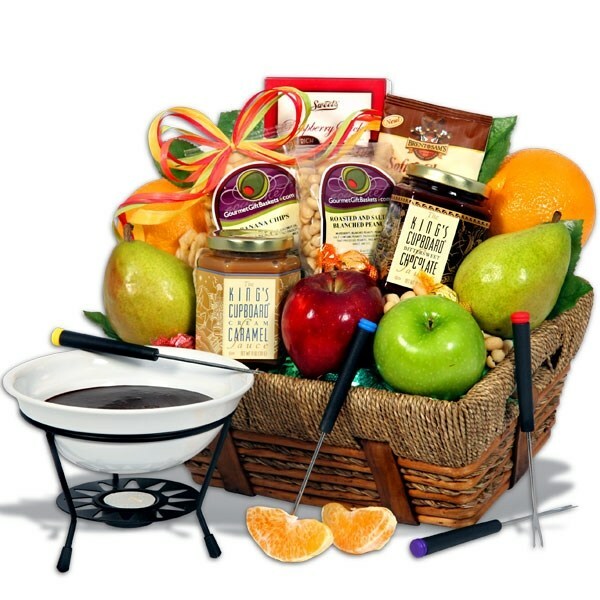 How to choose a basket for man, woman or as a corporate gift? What to put in it? 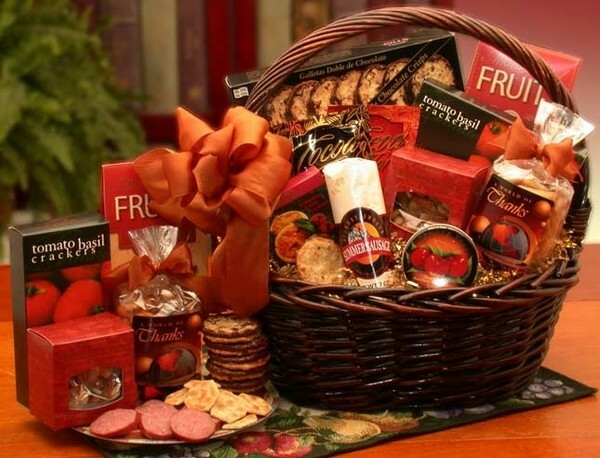 We shall give you helpful Christmas basket ideas so that you can give an original and personal Christmas gift to all the receivers of your baskets. 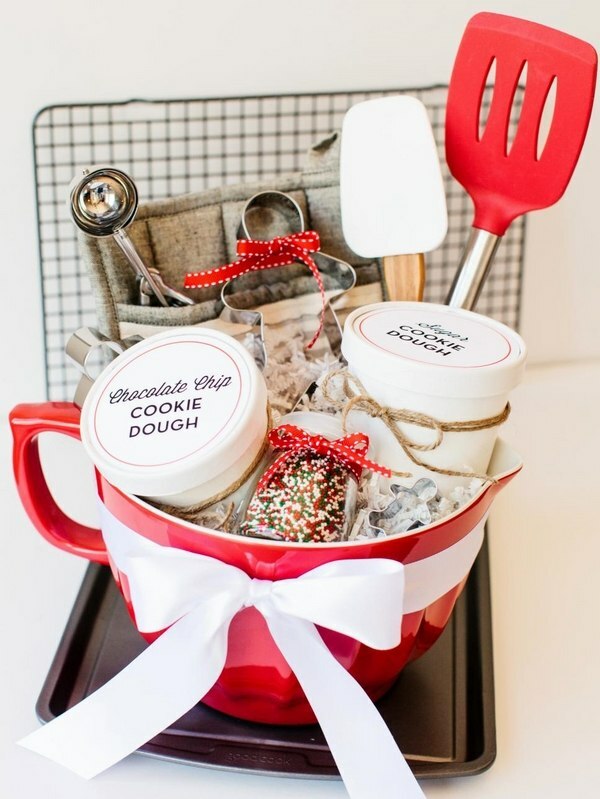 Christmas gift baskets are not only a fashionable gift. 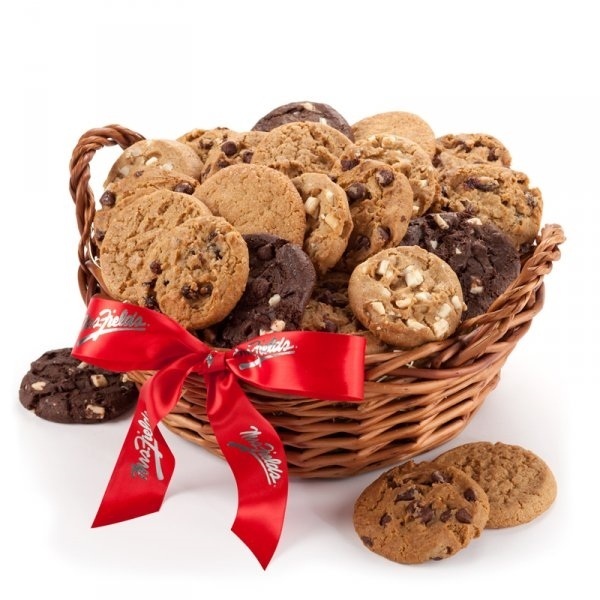 They are presentable, interesting and you will be sure that your gift will be received with a great pleasure. 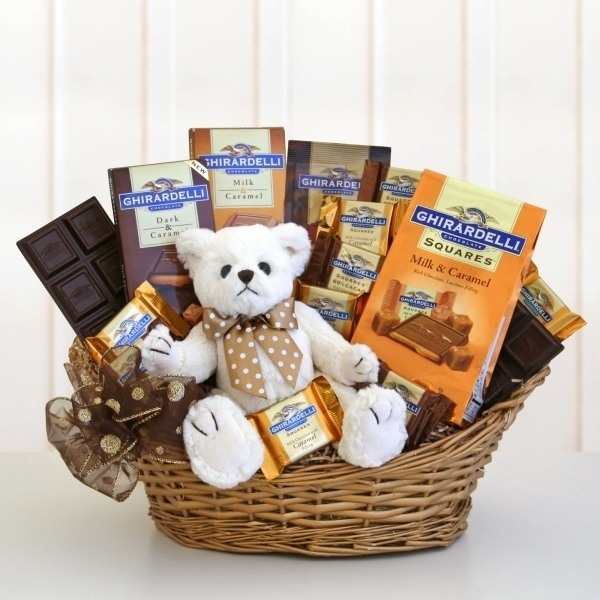 You can choose from the hundreds of baskets offered by stores or create your own selection of gifts. 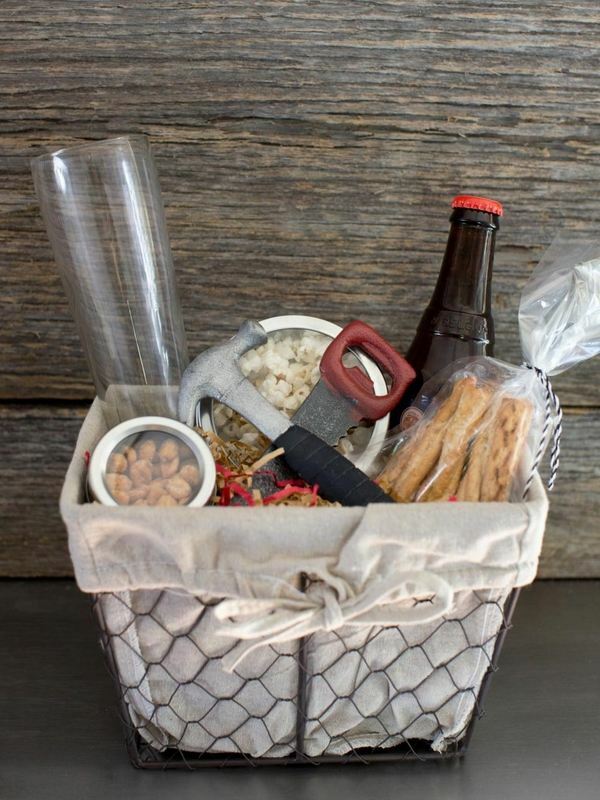 Christmas basket ideas for man and woman will obviously be quite different. 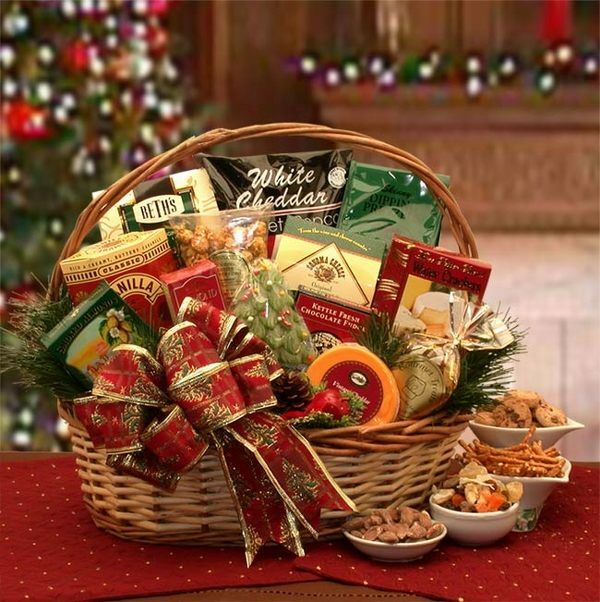 However, if it is your intention to give gift baskets for Christmas this year, you should keep in mind certain rules, especially if you want to show your good taste and personal approach. 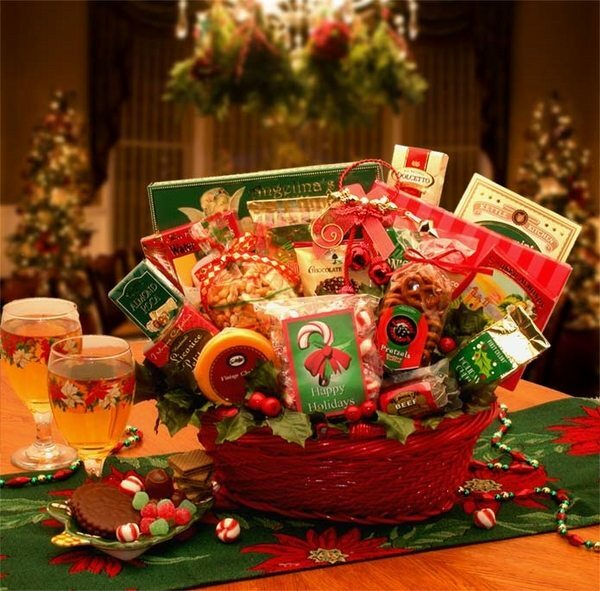 A gift basket is a selection of holiday treats that can decorate a Christmas table, it can be filled with hobby-connected items or high quality cosmetics. 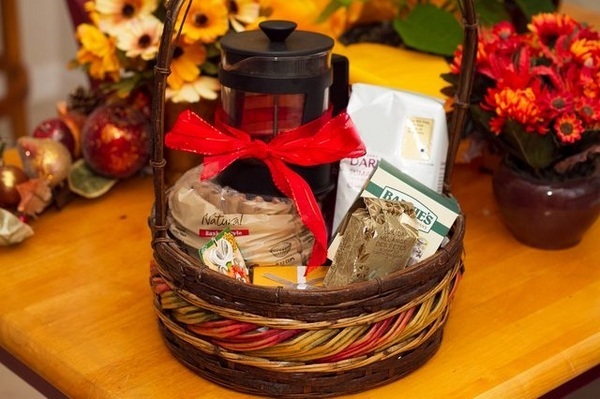 Delicious coffee, tea and crackers or chocolate to warm the cold winter evenings, or cheese, fresh seafood and salami for the holiday feast – there is no limit when you want to make an original and useful gift. 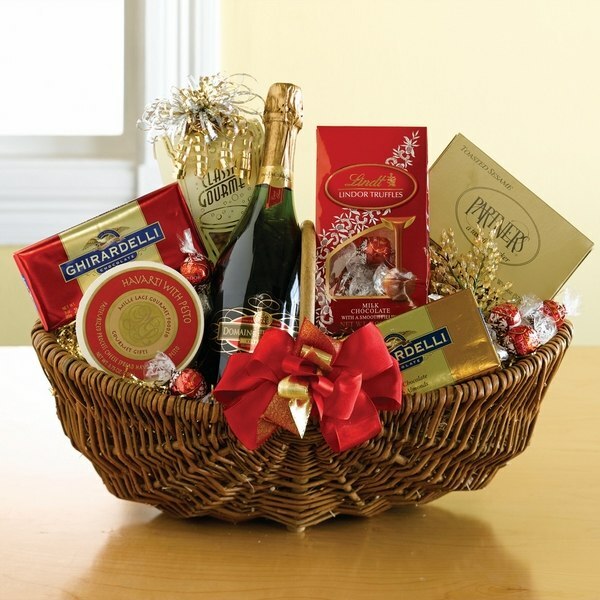 You can give gift baskets with high quality alcohol and chocolate to relatives, friends, colleagues, even your boss. It will be better, if you know the personal taste and preferences of each individual, as one may like brandy, other may appreciate a fine whiskey. In addition to the alcohol you can add nuts, crackers, fruits -tangerines, apples, pineapple, pears, etc. 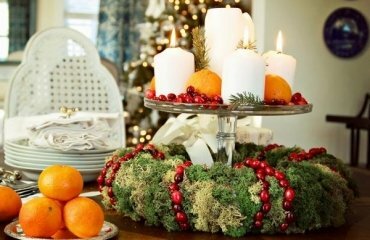 When you choose the option for homemade designs, do not forget that you need to decorate the basket with festive ornaments- spruce branches, leaves, holly, cinnamon sticks, dried flowers, red, green and gold ribbons, snowflakes or artificial snow or other Christmas decorations – just be creative! Choosing a gift for a man is not always an easy task, especially when you do not know the taste and preferences of the man. 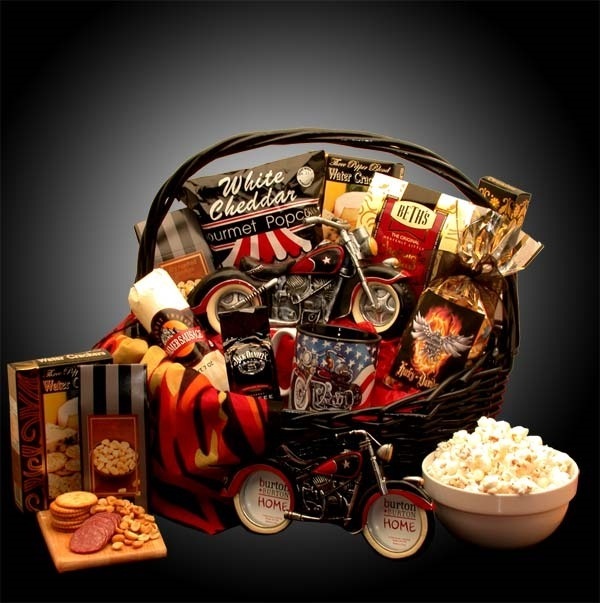 Christmas basket ideas for men vary in design, size, color and content but such a gift is a suitable option for men of all ages and status. 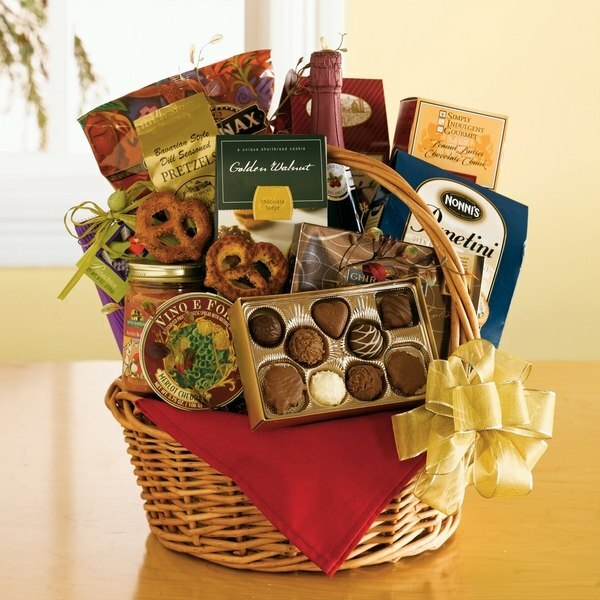 You can select special treats for your boyfriend, husband or express you gratitude to your business partners. 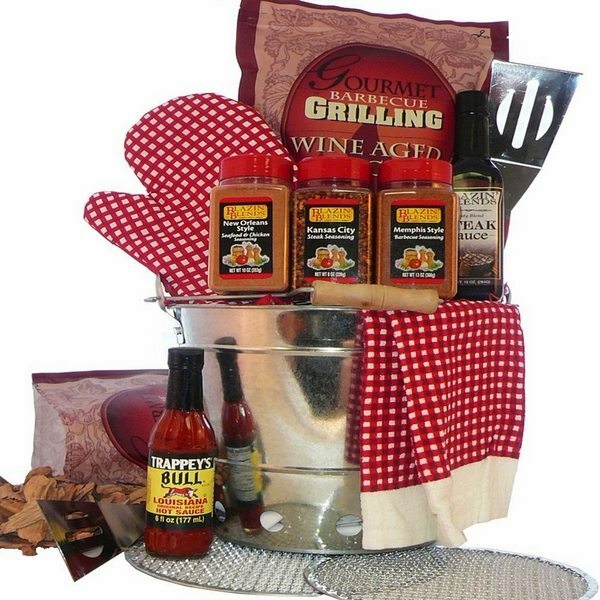 You do not have to spend a lot of time or a fortune to buy the necessary components of your gift basket for men. 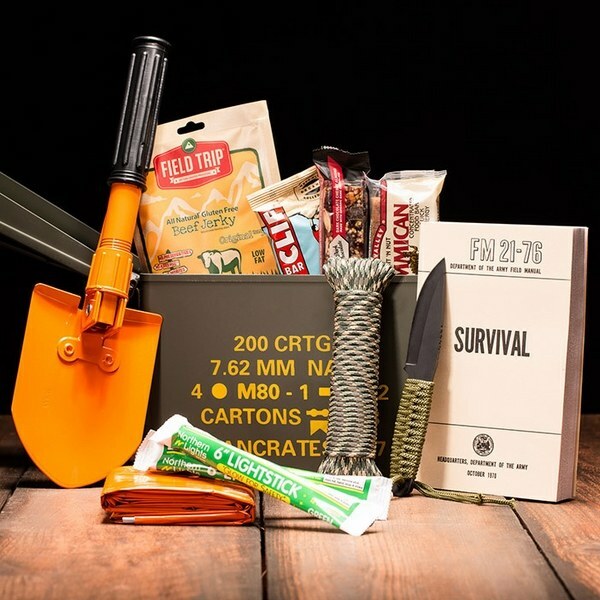 What to put in a Christmas gift basket for men? 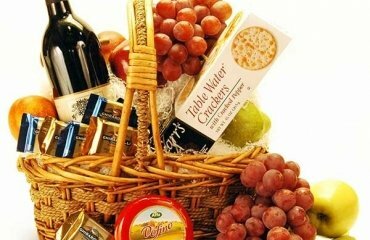 Wine with fruits, alcoholic beverages of the highest quality, sweets or bath accessories – you can choose a ready gift set or assemble and decorate the basket by yourself. 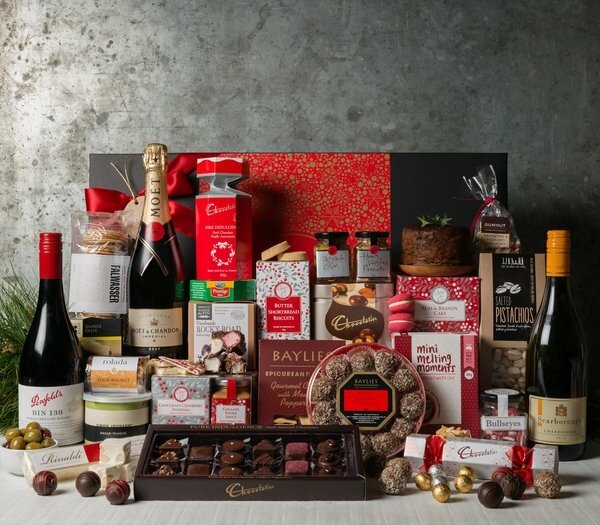 Besides alcohol like whiskey, vodka, brandy, wine and chocolates, a kit for preparation of cocktails, you can include high quality coffee, tea, glasses, caviar, fine cheese or other gourmet products. 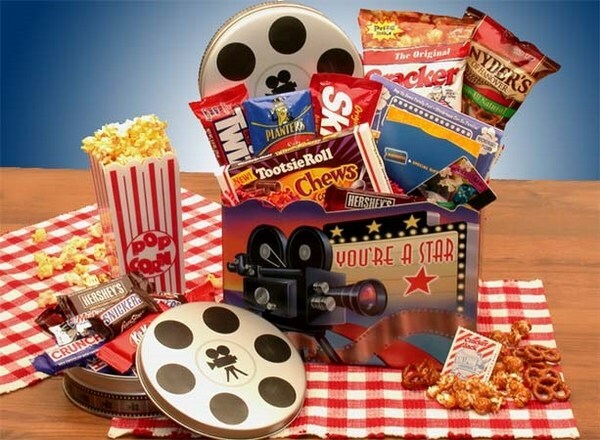 When you want to surprise a man with an original present, which he will remember for a long time, choose items related with his hobby or favorite sport – football, baseball, hunting, fishing, etc. 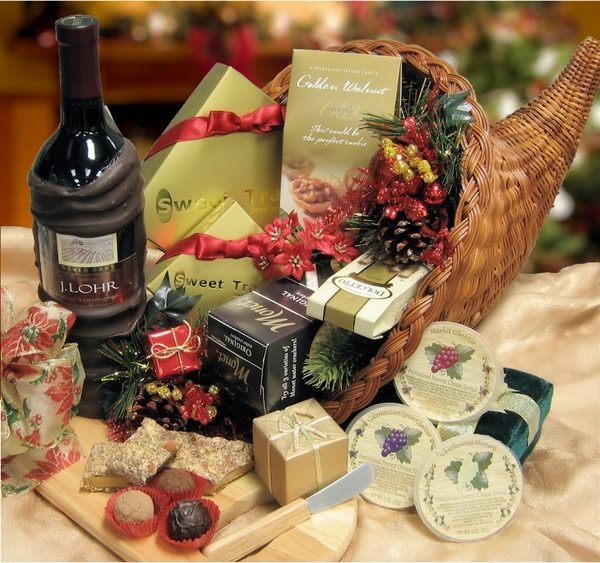 Christmas basket ideas for women give the opportunity to touch the soul of your beloved woman by giving her something extraordinary. Every woman, despite her age, loves surprises and gifts. 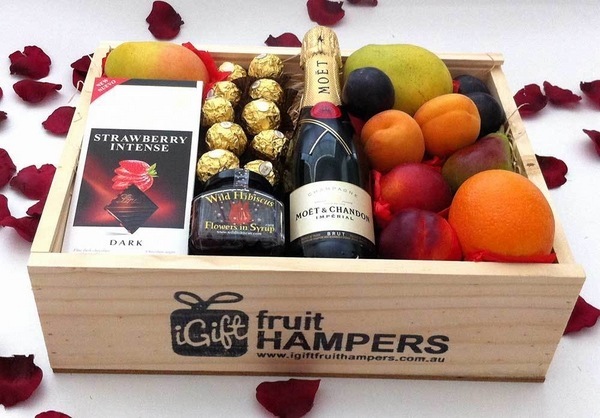 You can give her a unique gift basket and although men often use the joke that “Diamonds are the girl’s best friends”, you will be surprised to find out that the personal approach is valued by women much higher than the cold glitter of diamonds. Most often the small signs of affection and tenderness are the things that add warmth to any relationship. 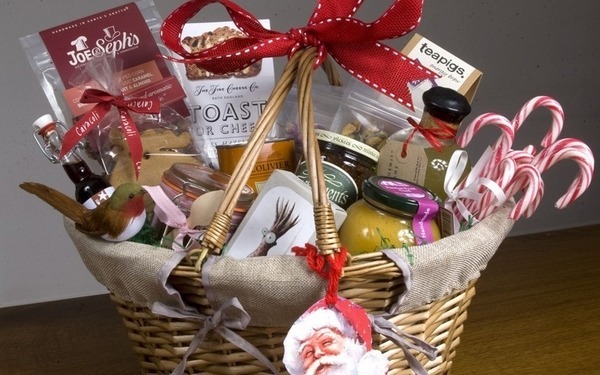 So, what are the best Christmas basket ideas for women? 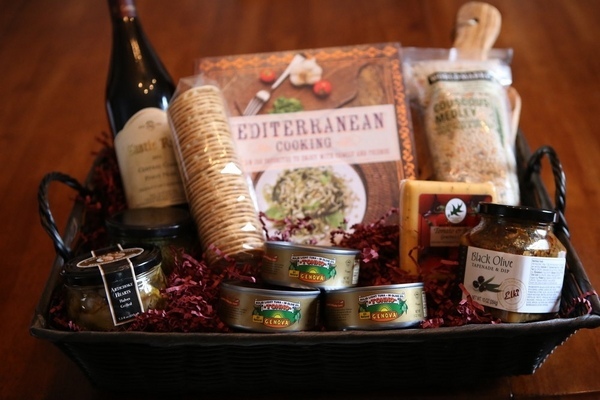 Again, when you know the woman, her interests and hobbies, choosing the right gift basket is a pleasant task. Women who are interested in culinary will appreciate a good cook book, a set of spices, or a basket full of cupcakes, gingerbread men, all kinds of biscuits, homemade hot chocolate mix, coffee, tea, etc. For women who are interested in crafts like knitting or sewing the perfect basket will be full of materials for their favorite craft or hobby. 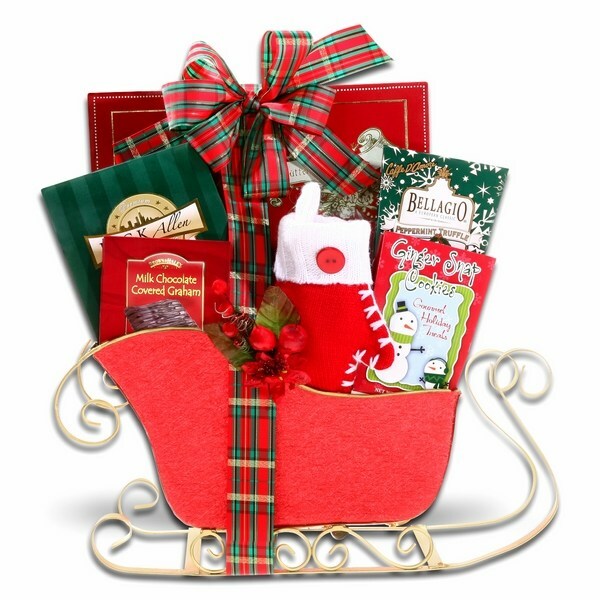 When you want to make your Christmas gift basket really special a selection of high quality spa products is going to be a real pleasure for any woman. Well, if you have no idea what the woman loves, remember that a box of chocolates and a bottle of champagne will keep you safe. If you asked children what they love most in all the holidays, they will not hesitate to answer that it is, of course, the gifts. Choosing an interesting and original gift for children, is one of the biggest challenges for parents, aunts, uncles and grandparents. 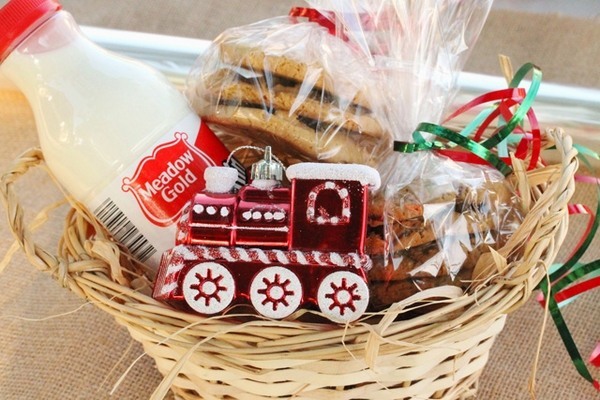 Christmas gift baskets for kids full of sweets and favorite treats will be a terrific gift, right? 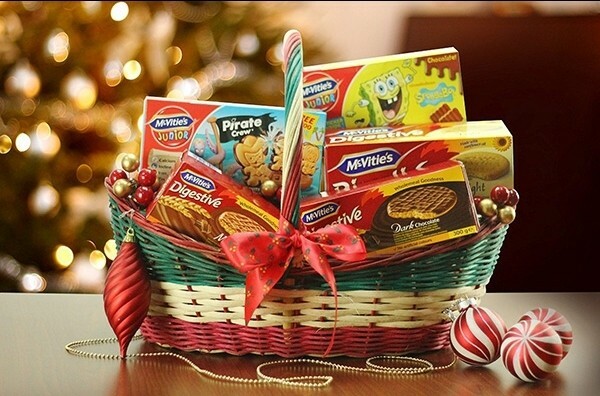 In some countries children receive these treats in a Christmas Eve box, but if you haven’t got that tradition, a this gift is a great opportunity for lots of fun! 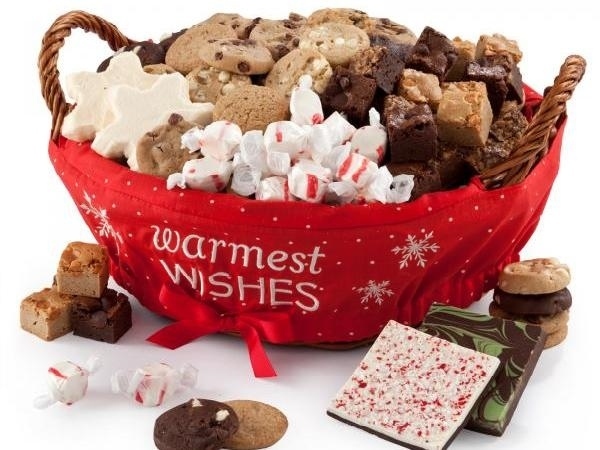 There is no child on Earth who does not love sweets and who will remain indifferent or disappointed from receiving a basket full of his favorite sweets. 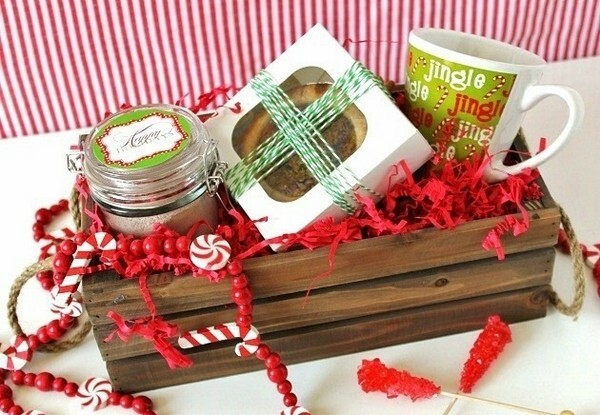 Many companies offer special Christmas products with small toys for even bigger pleasure and joy as they can play with the toys hidden in the chocolate eggs, for example. The baskets are suitable for both boys and girls and if you added a personal touch to each basket – that would be even better. 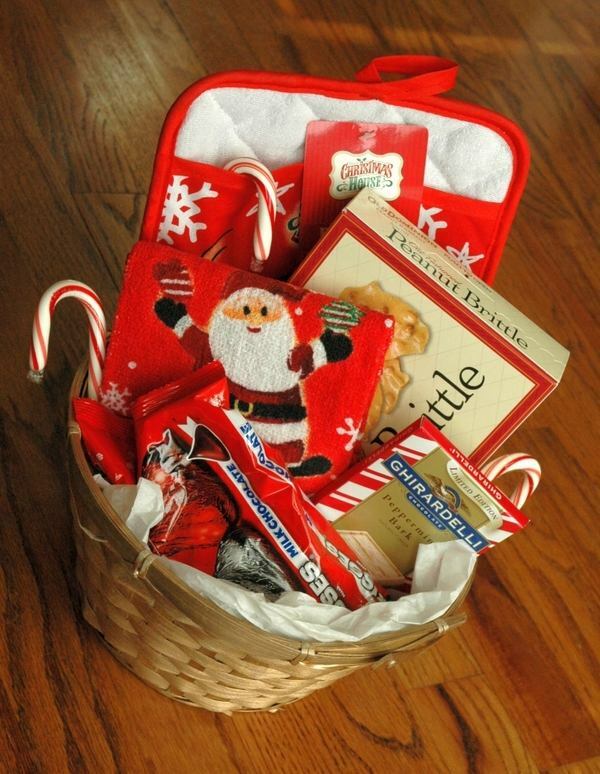 Besides the sweets they may contain little toys, a Christmas story book, some cool craft kit, etc. You can even organize a small home workshop for small homemade baskets for the friends of your children. Be sure that this is going be one of the most welcome fun activities. 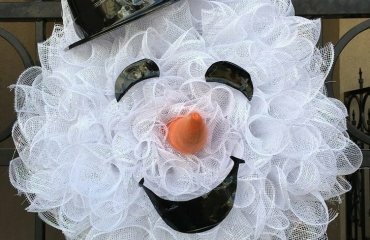 Ask the children to help you decorate the gift baskets with embellishments, let them choose a theme for each basket – penguins, snowmen, reindeer, snowflakes – let them express their creativity. 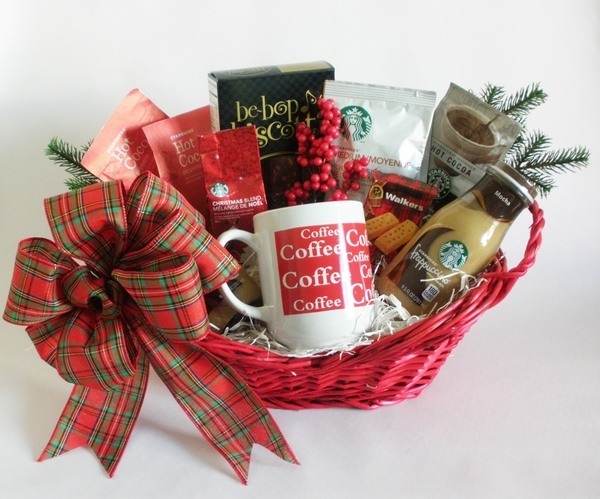 Corporate Christmas basket ideas can be given to business partners, clients, customers or employees. 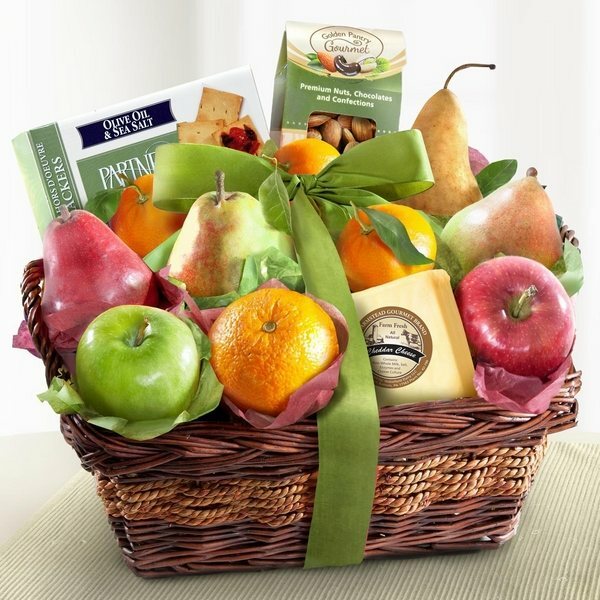 A corporate gift basket is an excellent opportunity to please your associates, assistants, clients and partners and an original gift to please the people that you work with every day. 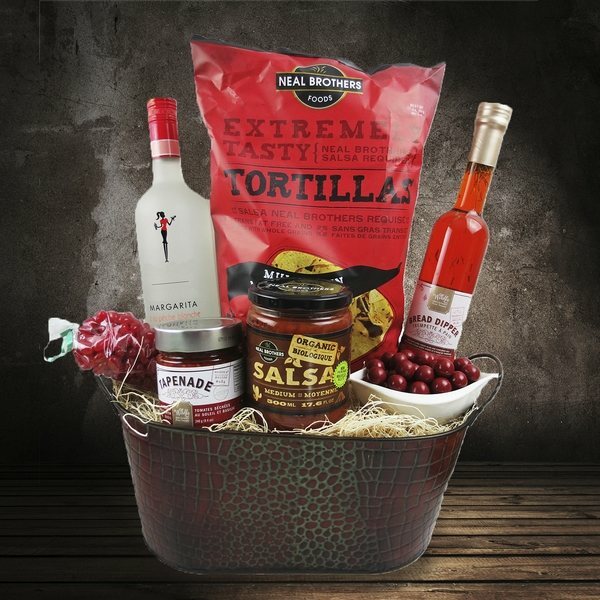 When you want to send gift baskets on behalf of your company you need to remember that despite the fact that this is a holiday gift it represents you and the company, so a certain level of formality is required. 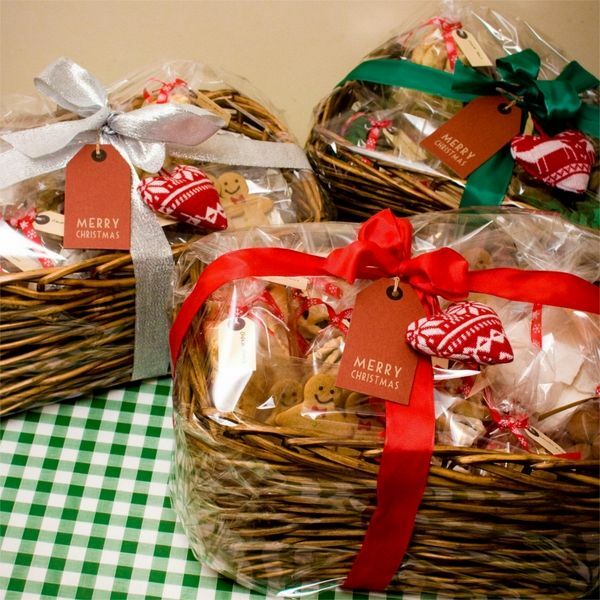 Sending packs of pop corns and homemade cookies is not an option for Corporate Christmas baskets. 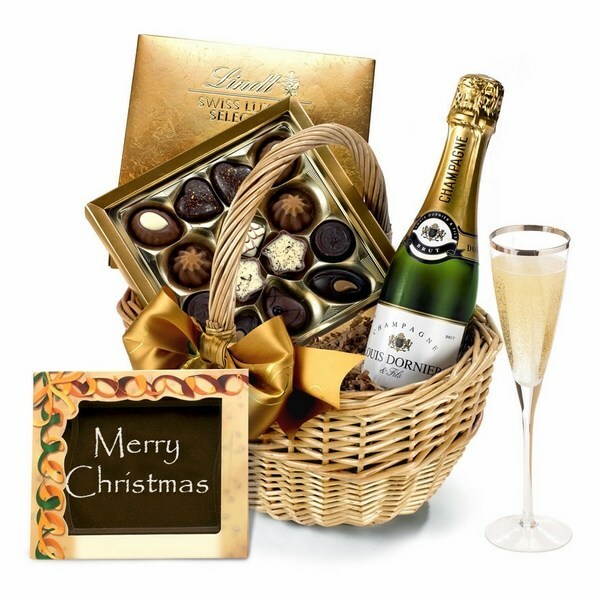 It is advisable that you choose high quality wine, champagne, chocolates or sweets. Coffee and tea are also a good idea but a set of herbs or cookie cutters set will be more appropriate for family members and close friends. 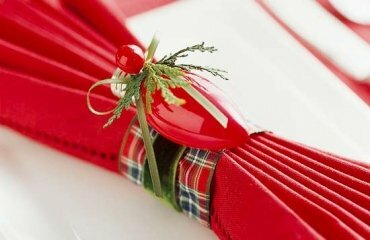 The wrapping and the decoration should be carefully chosen as well. 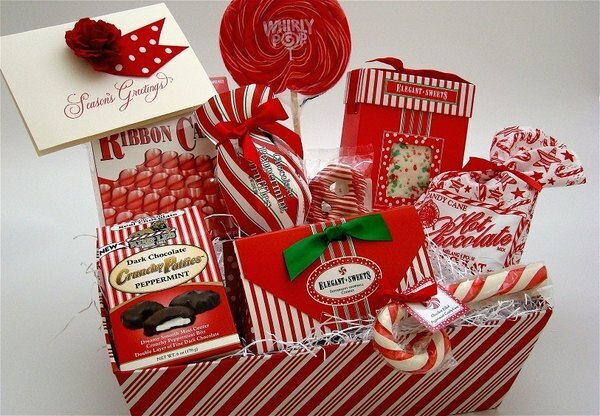 Some companies prefer a decoration in the corporate colors other prefer special transparent wrapping foil and a bow. 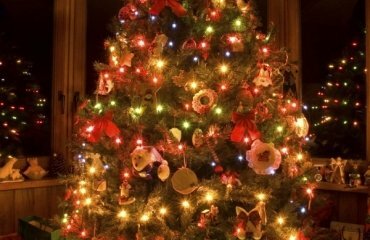 In all cases, it is considered a nice gesture to add a business card or a small Christmas card with seasonal greetings. 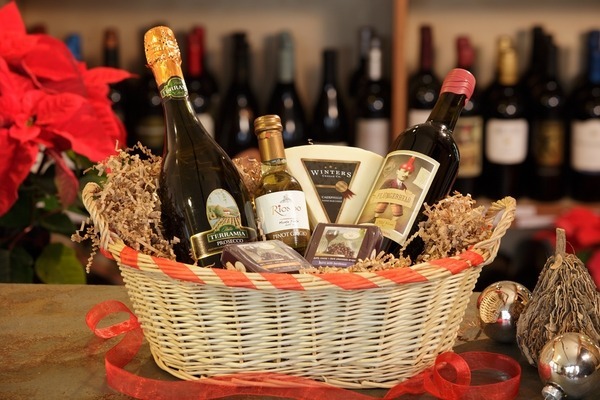 If you choose to add a small branded souvenir, make sure that it works with the items in the basket – a coffee mug will be out of place while a wine opener with the company logo will be a good addition to a basket of wine. 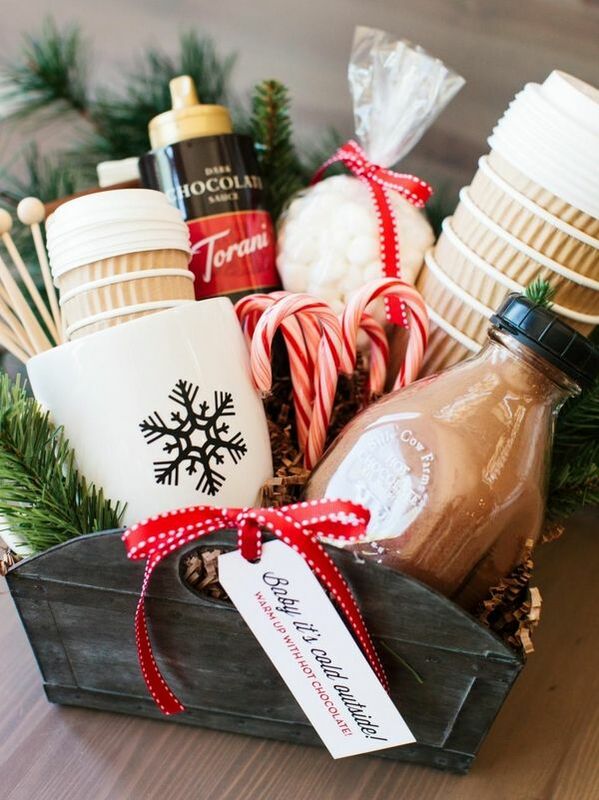 As you can see, Christmas basket ideas allow you to personalize your gifts and show your respect to the people that you work with or love and affection to your friends and family. 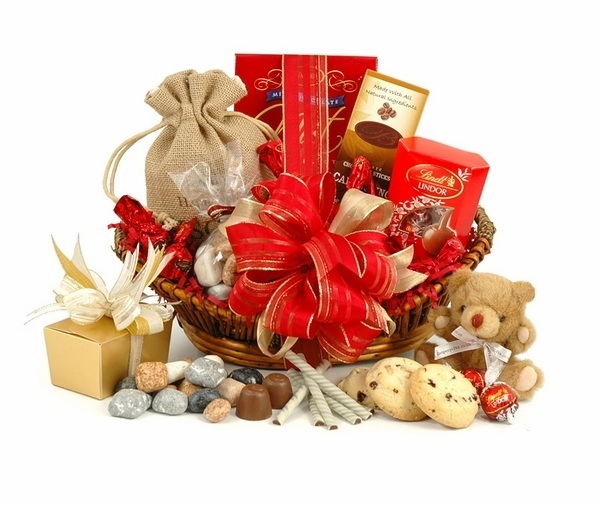 Christmas gift baskets are an elegant gesture which allows you to show good taste and special attention which are needed especially in the brightest holiday. 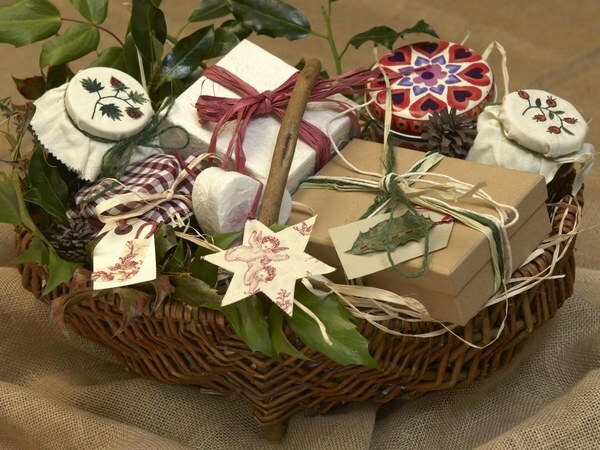 Get inspired by the Christmas basket ideas in the gallery and make the holidays even more special!